Poetry in all its forms were celebrated at the Dorothea Mackeller Poetry Awards on Friday 31st August. The annual national awards were held in the Civic, with award winners and their families, and local students and community representatives coming together in honour of the Australian poet’s memory and her famous work My Country. President of the Dorothea Mackellar Memorial Society, Tom Plevey, said through My Country, “Dorothea managed to eloquently capture a timeless vision of an entire land” and “her words are timeless enough to still ring out today”, inspiring generations of young poets. “Poetry like that doesn’t just come easily, nor does it come instantly,” he said. “All art is giving a piece of your soul up to the world, and poetry is no exception. 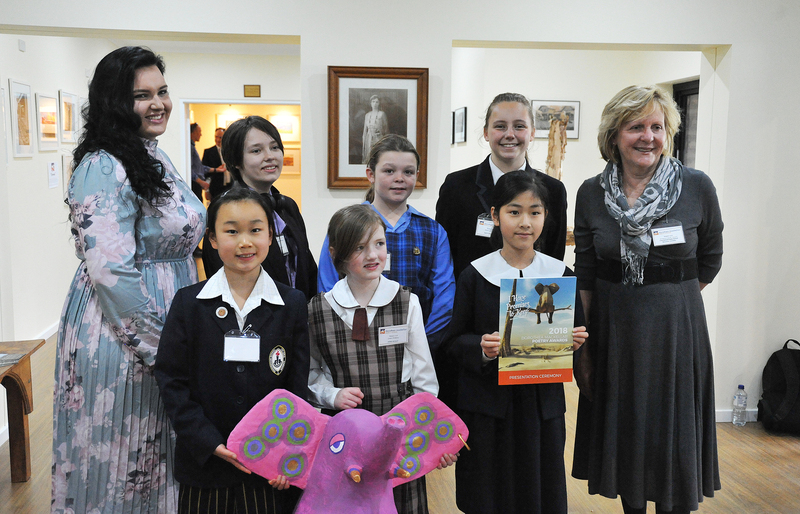 Winners were chosen from Victoria, NSW and Queensland, with many attending to receive their awards and read aloud their poems. More than 9000 entries were received. This year’s guest speaker was author and former Gunnedah man James Knight who shared many humourous stories, engaging the award winners and emphasising the “power of words”. “Stories help us make sense of every single day. Stories help us make sense of the world,” Mr Knight said. “Stories have a power all in their own right, so does poetry. Mr Plevey backed up Mr Knight’s sentiments by reminding the poets that “your words have meaning and your words have power but not if you keep them inside”. This year, the judges of the primary sections were Catherine Bateson and Leonie Tyle (absent) and the secondary section judge was James Roy. The patrons were Mark Vaile and Susan Duncan. Secondary judge Mr Roy said there were a number of stand-out poems in the secondary categories that “could have made it over the line” but “the ones I chose in the end were very powerful”. He also said that the Tasmanian schools “punched well above their weight this year” and the students had been “well mentored” by their teachers. Primary judge Ms Bateson said there were very few opportunities to validate young poets in Australia, so the Dorothea Mackellar Poetry Awards were significant. “There are very few national awards for young writers and even less national awards for young poets,” she said. Ms Bateson said “it’s a very hard gig” to be a professional poet in Australia and it was important for poets to “make a stand for those qualities which uphold civilisation”. The author said poets were important because they take “small pauses where we can look out on the world and appreciate a still moment”. St Mary’s vocal ensemble performed two songs at the end of the awards presentation and memorial society president Tom Plevey thanked awards project officer Brittany Riley for her work in organising the event. “She has been the glue that geld this whole event together,” he said.